No it’s not Wednesday. 🙂 Today is Sunday, and that means Race Day. The race is in Pocono, Pennsylvania this afternoon. It’s one of my favorite tracks. I wish we had gone to a race there when we lived in PA. My hubby isn’t one for going to sporting events. He would rather see them on TV because there are multiple angles and replays. He just doesn’t get the excitement one feels attending in person. I am hoping to get to Homestead this winter. My son lives in Miami. I might be able to talk hubby into that one with the added benefit of visiting our son. So today Kasey Kahne is starting from the 23rd position. He had a bad qualifying. He has won at Pocono in the past.. There aren’t that many races left for him to make the chase for the championship. I would hate to see him not make it again this year. 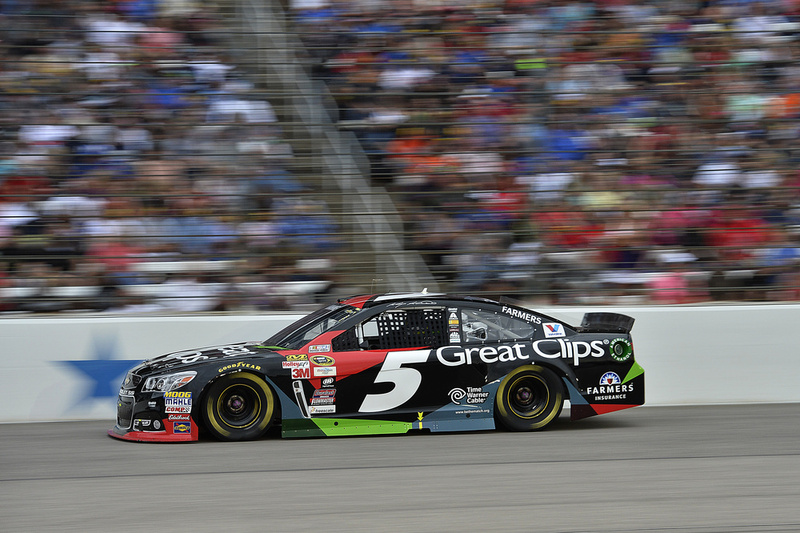 Kasey is running the Great Clips car today. They are one of his prime sponsors. The car paint scheme changes depending on who his main sponsor is for each race. Here’s the Great Clips car.